Feel free to email: quentincolasuonno@juno.com . 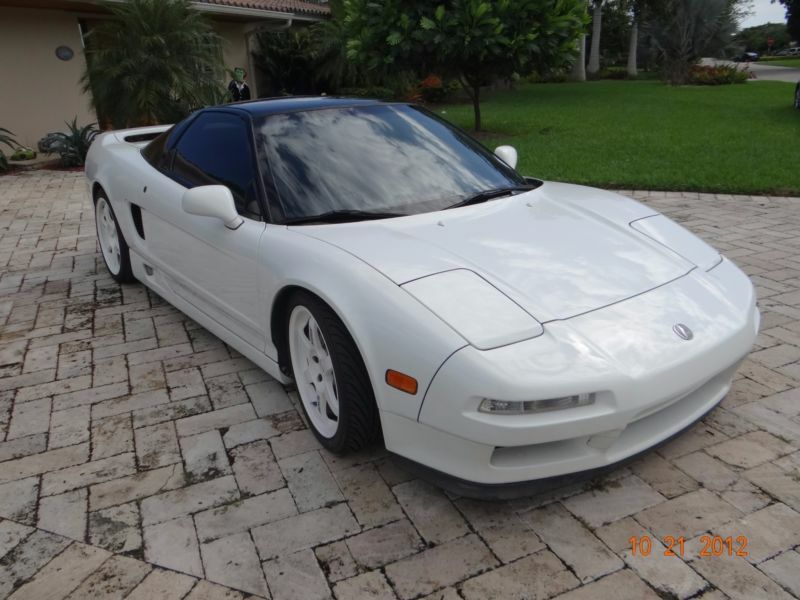 THIS IS A HIGHLY SOUGHT AFTER AND RARE TO FIND WHITE 1992 NSX! 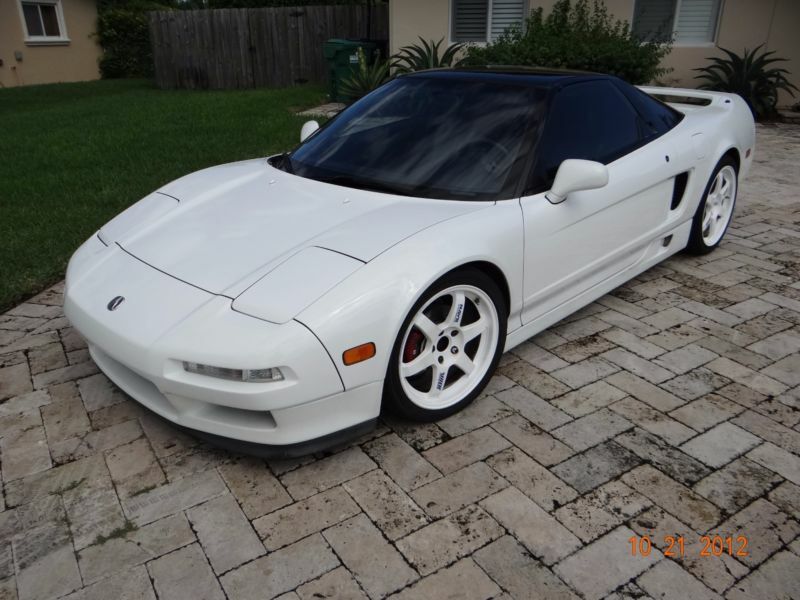 THIS NSX HAS HAD SOME SELECTIVE MODIFICATIONS, ALL OF TOP QUALITY AND WELL CHOSEN TO PROVIDE A NOTABLE ENHANCED DRIVING EXPERIENCE WHICH YOU CAN LIVE WITH EVERY DAY DRIVING. 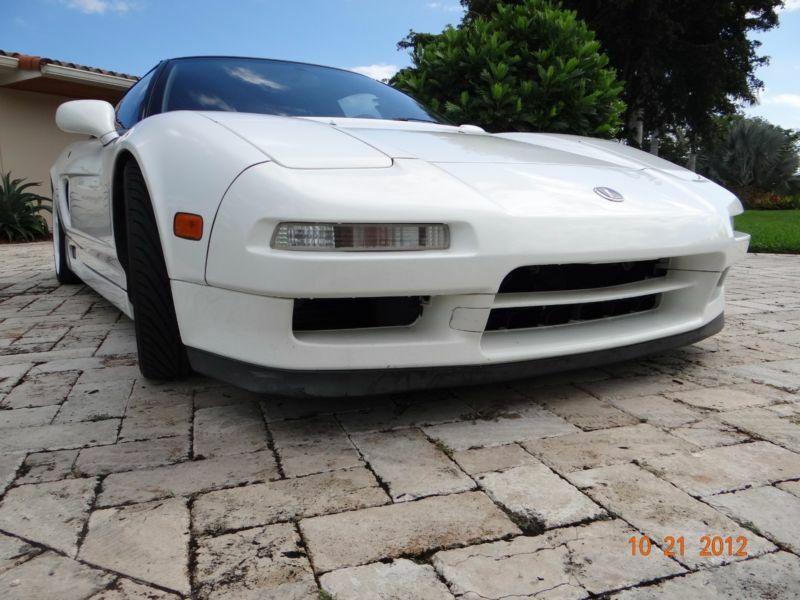 THE VERY EXPENSIVE INTAKE AND EXHAUST ARE STOCK QUIET WHEN CRUISING, YET RELEASE A PERFECT GROWL WHEN YOU STEP ON THE PEDAL. THE SUSPENSION GIVES IT A POWERFUL LOWERED LOOK, YET THE RIDE QUALITY IS NOT SACRIFICED AND MAKES IT JUST FIRMER THAN STOCK. DRESSED UP WITH EXPENSIVE AND LIGHTWEIGHT WHEELS WHICH MAKE IT LOOK PERFECT BUT NOT PUNISH THE RIDE. THE CLUTH AND FLYWHEEL ALLOW THE ENGINE TO REV FASTER, YET THE CLUTCH PEDAL IS AS LIGHT AS STOCK. HAS 4-POINT HARNESS FOR EASE, COMFORT, CONFIDENCE, AND INCREASED SAFETY. FULL LIST OF MODIFICATIONS/UPGRADES: - SPEC RACING SINGLE STAGE CLUTCH WITH LIGHTWEIGTH FLYWHEEL - RM RACING CARBON INTAKE - RM RACING REAR STRUT BAR - RM RACING HEADERS WITH CUSTOM EXHAUST OUTLETS - TRANSMISSION NUMBER SR8M-50001777 (NOT WITHIN THE SNAP RING RANGE) - SCROTH HARNESSES - WEIGHTED RAZO SHIFT KNOB - SCIENCE OF SPEED ALUMINUM EXPANSION TANK - EIBACH SPRINGS - VOLK RACING TE37 RIMS (NEARLY $1000 EACH, NEW) - POWERSLOT SLOTTED ROTORS - HAWK HPS PADS - I ALSO HAVE EXTRA MOMO STEERING WHEEL, AND FLOOR MATS.